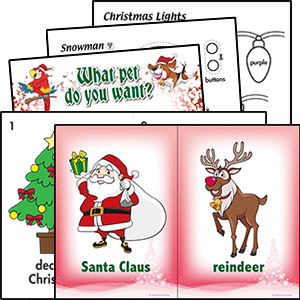 Fun, easy to use Christmas songs for young learners and ESL / EFL classroom. 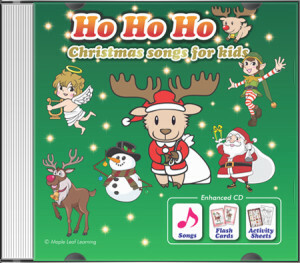 Ho Ho Ho features easy-to-learn original songs such as “Christmas Tree, Reindeer, Bell” and “Ring the Bell”. With little preparation, children are able to start singing and dancing along almost immediately. Be sure to check out our simplified version of the classic song “We Wish You a Merry Christmas”. *Click on song titles to view teachers’ videos, lyrics, resources, and more for each individual song. 12. What Do You Want for Christmas? Simple counting / action song. Simple version with fun actions. Classic nursery rhyme for kids. Traditional song with a silly twist.